Guests will enjoy a full night of entertainment including dinner, live music, a spirited auction, and hear impactful stories from students. With reduced state allocations to education, gifts from individuals, alumni and corporations are crucial in supporting Langston University students with the necessary funds to attain a high-quality education. Because of your support, students will have the resources to become the next generation leaders in our communities. The funds generated will benefit Langston University students by providing need and merit based scholarships. We pride ourselves on assisting deserving students in achieving their dreams of earning college degrees.There will be a photo booth available in the lobby from 6:00-10:00 p.m. to capture this special evening. 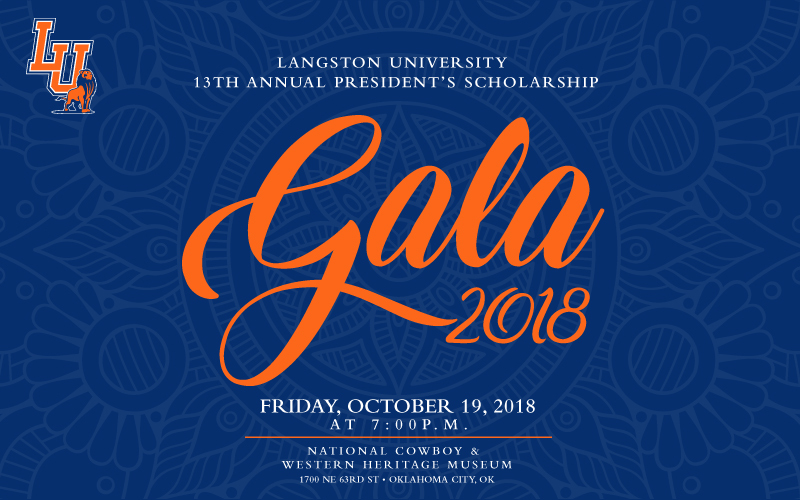 The President’s Scholarship Gala allows Langston University to continue to offer scholarships for students to carry on the Langston legacy. This year's event will be held on Friday, October 19, 2018, at 7:00 p.m. at the National Cowboy and Western Heritage Museum in Oklahoma City. This year's gala entertainment will be a special musical performance by, Howard Hewett, a Grammy award winning R&B, soul, gospel and jazz singer–songwriter. Mr. Hewett in 1979 became the lead singer of Shalimar where the band recorded hits such as "Second Time Around," "Make That Move," "A Night to Remember," and the ballad "This Is for the Lover in You" In 1986, Mr. Hewett released his first solo album, I Commit to Love, a solid urban album that yielded two R&B hits, "I’m for Real" and "Stay." The album also included "Say Amen," a gospel tune that became a surprise hit on the Gospel and Urban charts and is one of Hewett's many signature songs.